We’re confident that our Kodály-based Jolly Music programme can bring major improvements to any class, whether you’re a specialist music teacher or not. We’re therefore delighted that the Jolly Music programme has been recognised by others too, winning a series of awards. 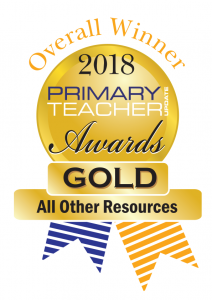 Read below to see some of the awards the programme has won, and comments made by people who have seen success in their classroom using Jolly Music. ‘The Jolly Music books have very much provided the spine for the huge body of musical learning at Feversham. Jolly Music is a game-changer and a must for all primary school children. It’s fun, leads to a high level of musical literacy and every aspect of child-development is considered. Early Years staff will find the activities simple enough to deliver with confidence, and will soon see the results.’ – Jimmy Rotherham, Music Teacher at Feversham Primary Academy. There has been widespread praise for the outstanding improvements seen at Feversham Primary Academy courtesy of their focus on music, being featured by the BBC and The Guardian. ‘A creative, well-planned and inspiring music curriculum that promotes musicianship through teaching singing in a fun way. I think you could achieve an astonishingly high standard of musicianship by incorporating five or ten minutes practice each day.’ – John Dabell, Teach Primary Magazine. ‘Fun and easy to use, both by specialist and non-specialist teachers… No school should be without it!’ – John Pryce-Jones, Director of Halifax Choral Society and Artistic Director at Northern Orchestral Enterprises. ‘The lesson plans are beautifully crafted… Lucky the children who are brought through this process.’ – Elspeth Compton, British Kodály Academy. ‘Jolly Music represents deep learning and proper education… What appears to be simple actually leads to very high levels of musicianship.’ – Will Green, Music Teacher at Newington Green Primary School.